If you wish to, you can now use the internet to book appointments with a GP, request repeat prescriptions for any medications you take regularly and look at your medical record online. You can also still use the telephone where appropriate or call in to the surgery for any of these services as well. It’s your choice. 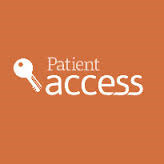 The practice has the right to remove online access to services. This is rarely necessary but may be the best option if you do not use them responsibly or if there is evidence that access may be harmful to you. This may occur if someone else is forcing you to give them access to your record or if the record may contain something that may be upsetting or harmful to you. The practice will explain the reason for withdrawing access to you and will re-instate access where relevant as quickly as possible. Patients who already have online access for appointments and prescriptions will need to contact the surgery and collect and fill out an application form if they wish to view their record online.